Known as “The Perch” by the Florida Department of Health, some locations of the cafeteria in the FGCU Cohen Center failed a consecutive total of eight inspections from as early as Sept. 23, 2015 to July 7, 2016, with the exception of one incomplete inspection. These unsatisfactory reports, however, may not be the effect of common food and health safety infractions. Findings on the inspections of “The Perch” noted mold in the formerly Blu Sushi Coca-Cola ice dispenser both Feb. 2 and July 7, the drink cooler at Chick-Fil-A inoperable with drinks still inside and a repeat violation of the walk-in door handle and freezer door being dirty June 2, and the employee bathrooms dirty (walls, touch points, soap dispenser, floor, toilet, sink and cart with cleaning supplies) June 3. 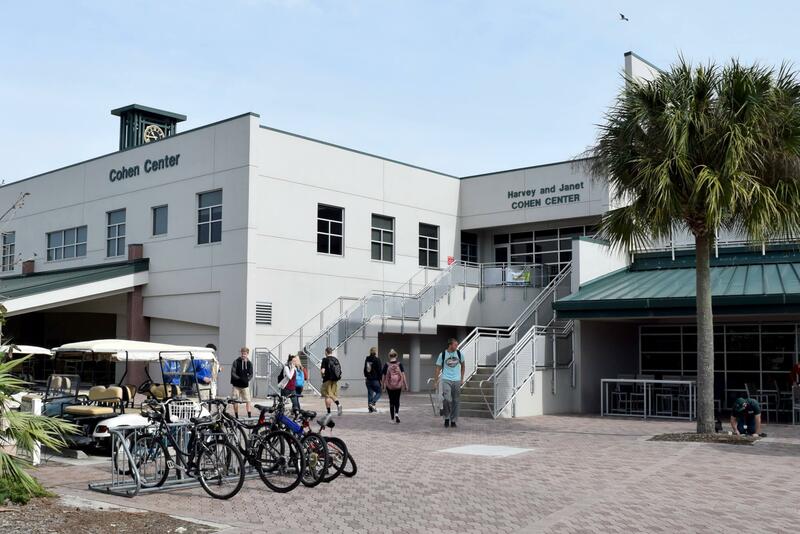 Loren Prive, FGCU’s director of business operations, explained that despite these violations, there have been no legal issues with the university for repeat offenses. “The Health Department works diligently with our dining services provider to ensure that we are making every effort possible to maintain a high-quality operation. Anything that is seen during these health inspections is immediately addressed,” Prive said. “The Perch,” which includes the shared kitchen space behind Papa John’s Pizza, Brahma Express and Chick-Fil-A, had been under one “umbrella permit” prior to the change in ownership from Aramark to Chartwells in May and stayed that way even after the switch. Ken Danielson, environmental supervisor with the FDOH, explained that the permit that covers all three locations makes room for a “if one fails, they all fail” rule. After reviewing the seven inspections from January, Danielson found that three inspections on May 19, May 24 and June 9 were unsatisfactory due to temperature violations, repeat violations and cleanliness issues in addition to the unapproved variance. During Aramark’s ownership, Blu Sushi (Brahma Express) was in the process of obtaining a variance permit for rice cooking. Noted on the report, the variance permit for an alternative cooking method is necessary to be in compliance with the Food Safety chapter of the Florida Administrative Code. According to Prive, the inspector assigned to “The Perch” continued to list on each inspection report that there was no variance, even though they were aware that the permit was in the process of being cleared through the state health department. On Oct. 27, 2015, Peter Schmid, representing Blu Sushi Express LLC, filed a petitioner’s request for the variance needed for FGCU’s Blu Sushi location. A notice from FDOH’s division of environmental health stated the variance concerned the storage, preparation and serving of potentially hazardous foods. Schmid then requested to withdraw the petition Jan. 26 and the case was closed. According to Danielson, the FDOH Central Office has 90 days to make a determination on the variance once they have received all of the information they have requested from the applicant. FDOH issued an order June 28 and granted Schmid’s request for a variance. Danielson explained that the variance needed for Blu Sushi was required for two reasons. First, for the service of raw fish and seafood products in ready-to-eat form. Secondly, for the use of acidified rice at room temperature, which is a common practice for sushi restaurants. A former FDOH inspector was the one to report each of the unsatisfactory inspections before Blu Sushi obtained its variance permit. The inspector no longer works in the department and was unable to be reached for comment due to their separation from FDOH. “Routine inspections and re-inspections were conducted as required through the year, and the variance remained as a pending violation on the inspection reports until the approval was granted,” Danielson said. With each unsatisfactory report, there is a re-inspection fee of $75 that is issued if the violations are not corrected by the time of the next inspection. While the lack of a variance for alternative cooking methods was a repeat violation, Prive did not believe that there were any fees paid to FDOH and Danielson confirmed that no re-inspection fees were issued due to the variance process. “The single permit for ‘The Perch’ was never changed by our previous dining services provider after ‘The Perch’ was renovated into a food court, since there are some shared areas in the kitchen,” Prive said. When asked if it was easier on Chartwells or former owner Aramark to keep the all-inclusive permit rather than separate them, Prive mentioned that Chartwells was planning to change how the permit covered each of the dining options. Allie Taylor is a rising senior in the journalism program, and has dedicated most of her life to writing (whether scooping stories on campus, or practicing her creative fiction). She can recite the entirety of Bo Burnham’s “What?” and loves marathons… of Netflix, of course. When Taylor is not in the newsroom, you can find her rehearsing with the cast and crew of S(He) Will Fade, drinking her weight in coffee at Starbucks or burrito-ing herself in a blanket in her dorm room.